Anthem "will feel very distinctly BioWare." Looking back, we can see clearly now how Mass Effect: Andromeda failed to meet expectations. 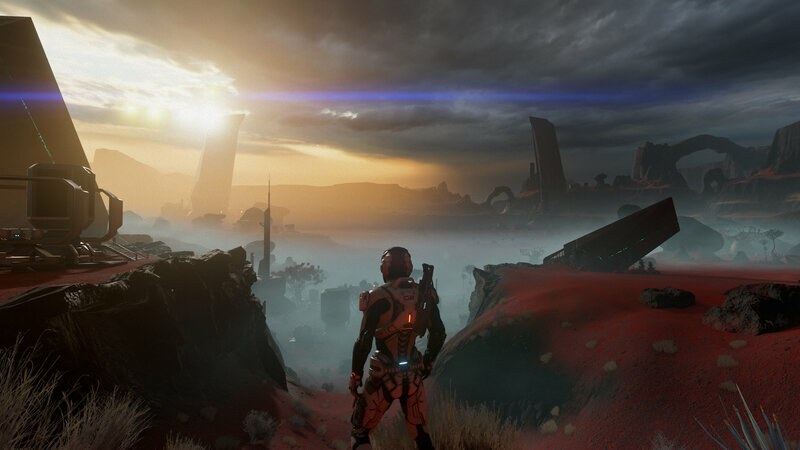 That disappointment undoubtedly affected the game's developers at BioWare and admitted as much by new BioWare head Casey Hudson in a new blog post. In the first of a series of blog posts from BioWare, Hudson admits that there was some refocusing done at the studio after Mass Effect: Andromeda. Hudson writes, "As you know, we were not able to deliver story DLC for Andromeda–this was as frustrating for us as it was for players, and it was something we knew we had to solve in future games." While BioWare doesn't mention going back to do those Andromeda DLCs (they have been effectively cancelled), Hudson says that the BioWare team will channel their focus on Anthem. "We need to delight players with new experiences and innovation, but we must stay focused on the importance of the world, character, and storytelling elements that players expect from our games. And our games must be designed to continue delivering new stories and experiences, in an ongoing relationship with players in the worlds we're evolving together." Hudson says that with a renewed focus on BioWare's strengths, Anthem will try and deliver the deep, world-building adventure BioWare is known for. "It will be unlike anything you've played," Hudson says of Anthem. "But if we do it right, it will feel very distinctly BioWare." Hudson took over as General Manager of BioWare back in July 2017, taking over for Aaryn Flynn. The reshuffle happened after a bit of a shake-up at BioWare that saw one of its Canadian studios merged with EA's Motive Studio, which is led by Jade Raymond. Still, Hudson's statements about focusing on Anthem is no shocker. Not only is this one of EA and BioWare's biggest upcoming games, but an important game for BioWare as a studio. No doubt we will see more of the game at this year's E3. For more, check out our Everything We Know About Anthem guide for the latest news and trailers. Tagged with Bioware,	Games as Service,	News,	PlayStation 4,	Xbox One.